I have been a wedding minister in Los Angeles for many years and I have performed many civil wedding ceremonies and religious wedding ceremonies in many Los Angeles Wedding Locations. Some have been at the Park Plaza Hotel. 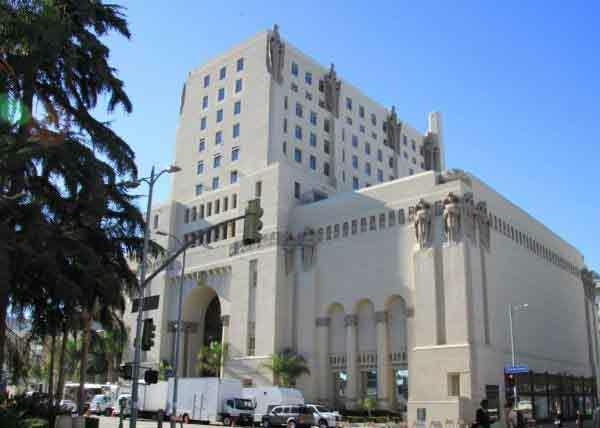 Built in 1925, the opulent Park Plaza embodies the rich and decadent boomtown times of Los Angeles. 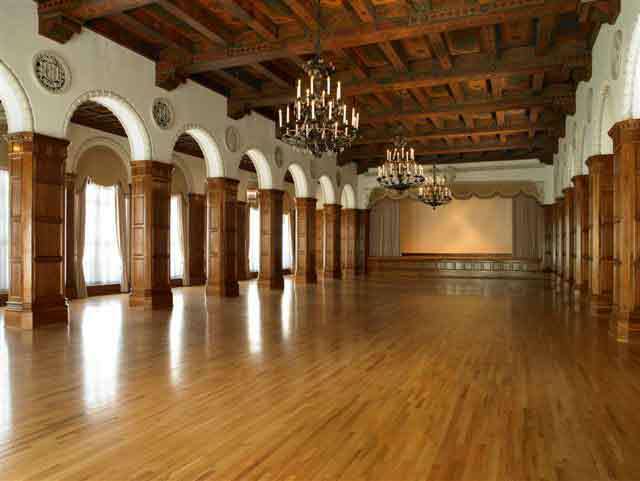 A great L.A. wedding location, the Wilshire Park Plaza wedding venue can provide the perfect backdrop for your Los Angeles wedding and will truly leave your guests in awe at the grandeur and opulence. A chic and intimate city wedding at a Legendary location. This stunning venue offers several grand wedding options. The Grand Ballroom is simply spectacular. On either side of the room, impressive twin colonnades stretch the entire length of the room. The carefully restored high beamed ceilings showcase hand-painted floral designs, patterned after a palace ceiling in Florence. Chandeliers suspended from the beams spotlight these amazing works of art. The Terrace Room is the largest ballroom. The Art Deco motif features high ceilings and elaborate wall sconces and is spacious enough for celebration as large as you would like. The Tuscan Patio offers an open-air venue that is a bit more intimate than the ballrooms. You can be married under the stars with views of the city skyline. The private courtyard is filled with flowers planters and greenery. Cut & paste this URL into your web browser www.parkplazala.com to find out more information about a Park Plaza Hotel wedding and reception. If you are thinking of having your wedding ceremony or reception in the Los Angeles area, consider the Park Plaza Hotel. And if you are looking for a wedding minister, then consider having the Officiant Guy as your wedding officiant.